Here’s one for true steak fans – this recipe couldn’t be any easier or more delicious. This same pan-searing technique can be used to cook any of our flavorful grassfed beef steaks. Use a meat tenderizer to flatten and tenderize the steaks. (We feel that grassfed beef steaks can always benefit from this additional step.) Salt and pepper the steaks as desired. Melt butter in a large cast iron skillet over medium-high heat. Add filets and cook 5-7 minutes on each side. Remove from heat, cover filets with foil and allow to stand for 5 minutes before serving. 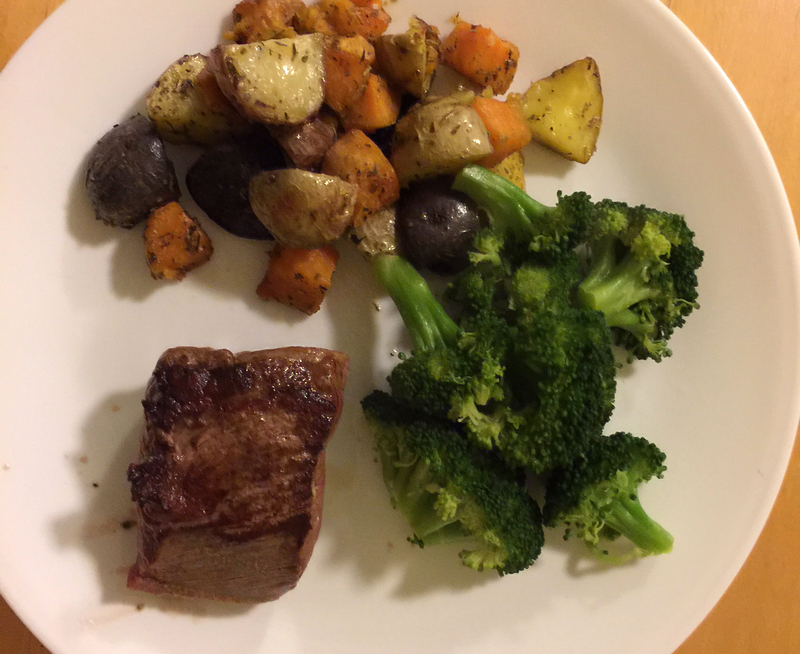 We served our filets with roasted root vegetables and steamed broccoli. Perfection on a plate!